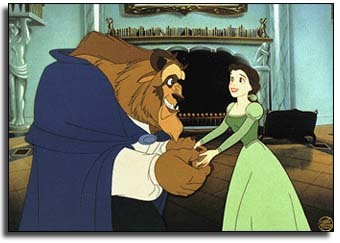 Beauty & The Beast marked an important milestone in the making of animated films by utilizing computer ink and paint techniques. It was the first animated motion picture ever nominated for the Academy Award® for Best Picture of the Year. This fine art hand-painted cel is limited to just 500 works of art in the edition. Since no cels were created for the making of Beauty and The Beast, “A Heartfelt Gift” represents an outstanding collector opportunity to acquire a pivotal moment from the feature.